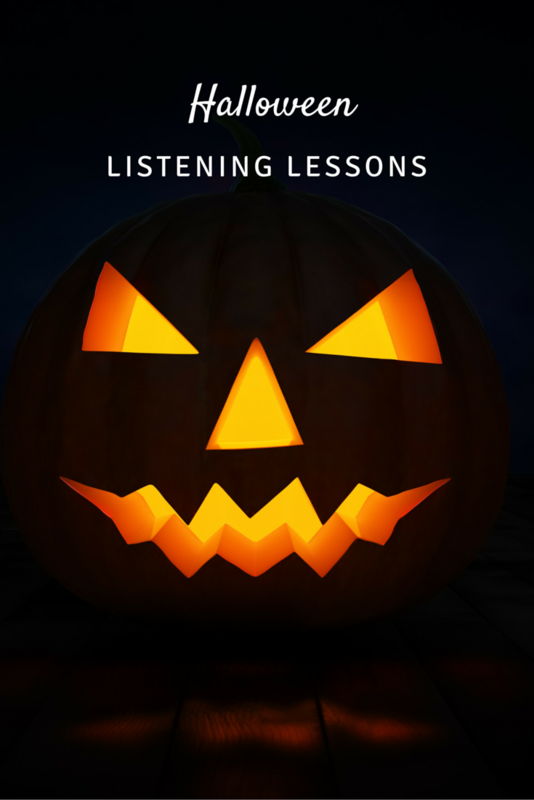 With Halloween coming up very soon, today I'm writing about some of my favorite listening lessons to use for this fun time of year! 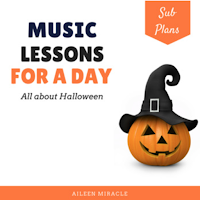 There are lots of "spooky" pieces of music that are perfect for Halloween! Here are a few of my favorites. This is one of my all-time favorite pieces! 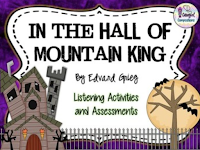 The story itself, of Peer running away from the trolls and the Mountain King, is very engaging, but then the music really draws students in. 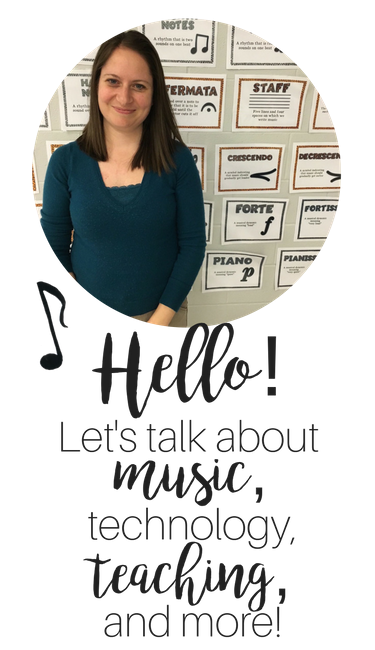 So many musical concepts can be taught through the piece: tempo and dynamics, as it starts slow and quiet and gets faster and louder throughout, crescendo, steady beat, and quarter rest. You could use this piece to study different instruments, to discuss the imagery of a piece, and to practice 3/4. It would be a great piece for them to practice their 3/4 conducting pattern! The theme of the finale could be used to practice tam-ti, or dotted quarter/ eighth, as well as eighth rest. You can purchase a slideshow for that listening lesson here. 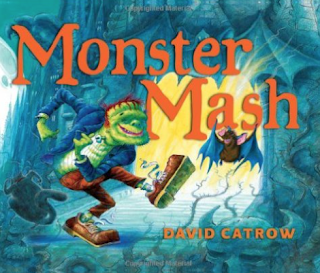 Whether or not kids have heard this song, it's a great addition to any Halloween lesson! 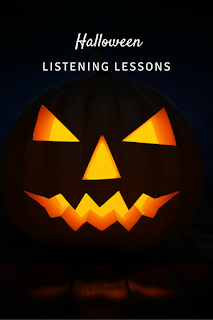 What are your favorite Halloween listening lessons? Feel free to comment below! Great blog post, so many new ideas! We will be using Danse Macabre since Saint-Saëns is our October composer of the month! I also found out that Der Erlkönig scared some 4th graders if show the Dieskau video with all the facial expressions- but they saw how important they were in vocal music! 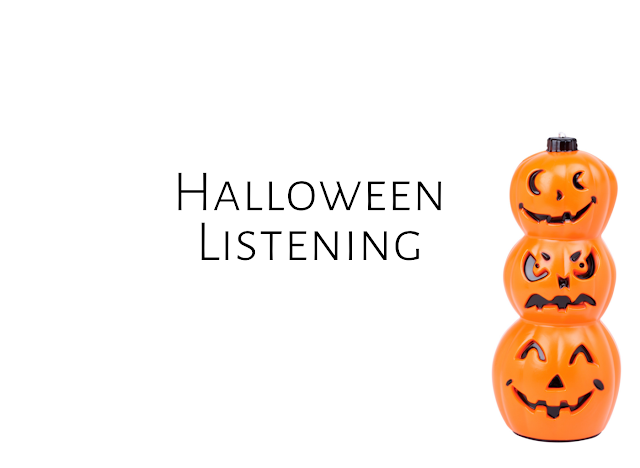 I also love your Halloween set, my kids love singing "Skin and Bones"!